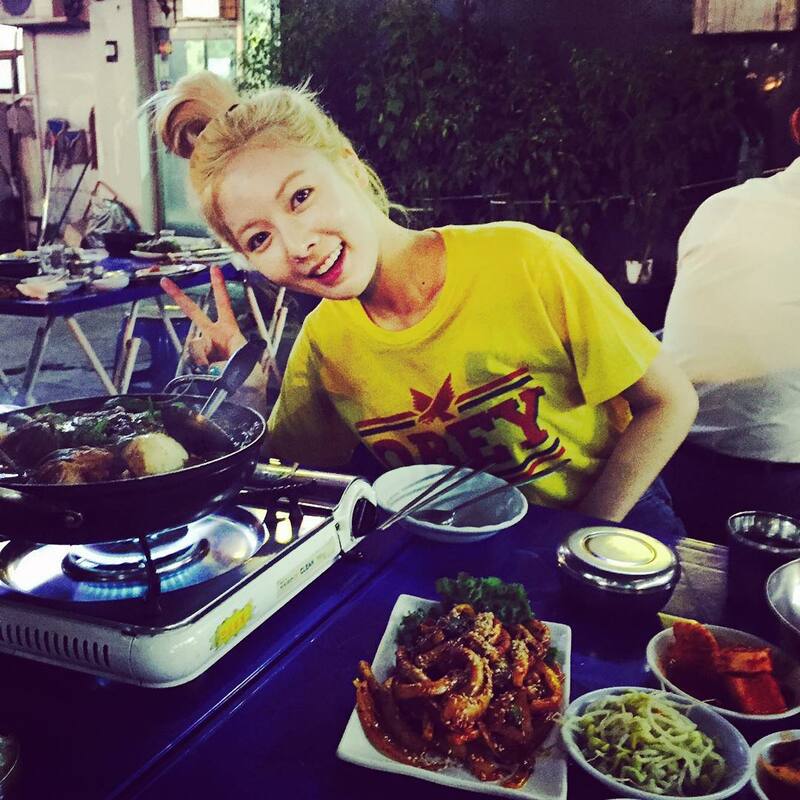 Hyuna (cr) of girl group 4Minute enjoying some grilled eels – it’s a popular dish in Korea; could be something else, can’t tell for sure from the pics – and other dishes. The hot spicy idol has just released her 4th solo mini album, A+, a few days ago. This entry was posted in Food on August 25, 2015 by Hotkpop. Actresses Chae Jung-an (cr) and Lee Joo-yeon enjoying some bossam (boiled pork), spicy soup, mandu (dumplings) and other side dishes. This entry was posted in Food on July 9, 2015 by Hotkpop. 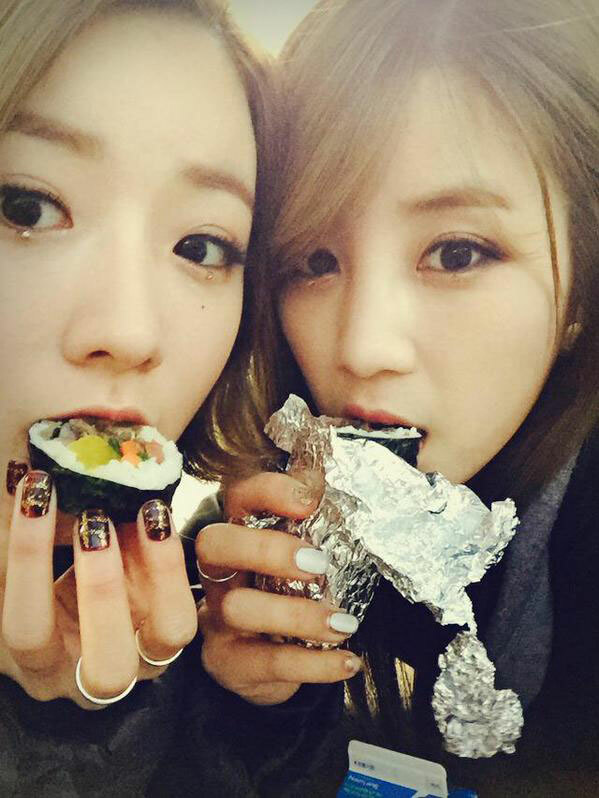 Girl group Apink’s Bomi and Chorong (cr,via) enjoying some gimbap (rice rolls), a common food/snack in daily Korean living. This entry was posted in Food and tagged Apink on June 26, 2015 by Hotkpop. 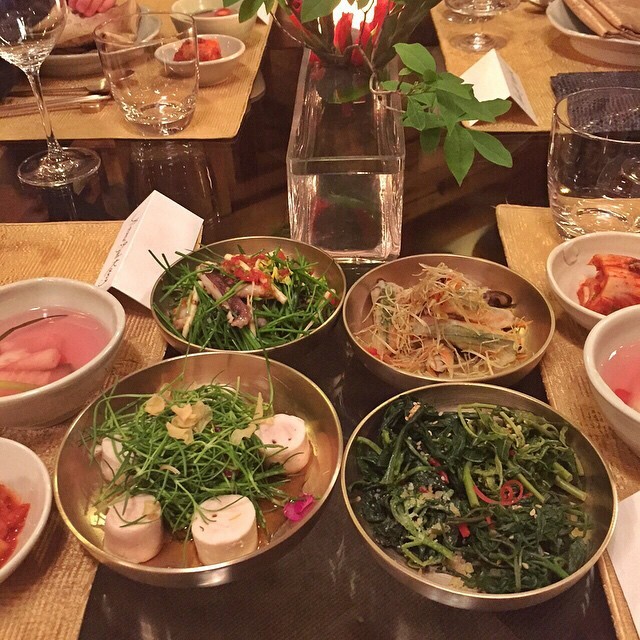 Brazilian supermodel Gisele Bündchen (cr) tried some Korean food when she visited Seoul for a fashion event in May 2015. This entry was posted in Food on May 7, 2015 by Hotkpop. 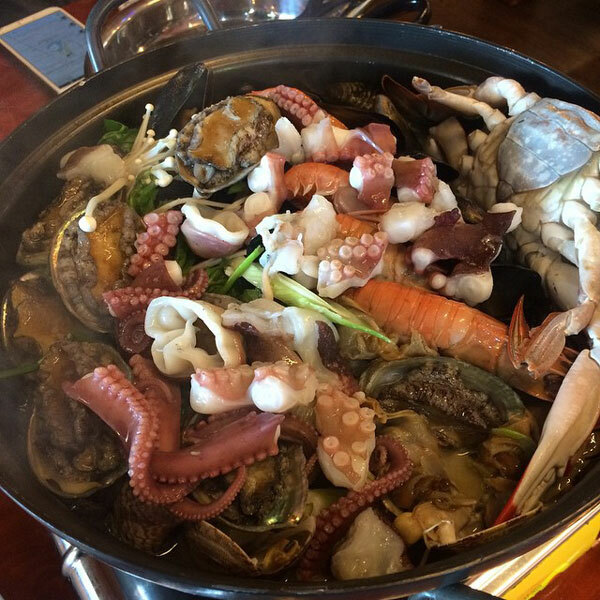 Rainbow’s Woori Instagram photo in November 2014 (cr) – a yummylicious abalone-seafood hotpot which is famous in Jeju Island. This entry was posted in Food and tagged Rainbow on December 1, 2014 by Hotkpop.